Lilly Pulitzer has some great new arrivals right now that are all super hard to resist. I recently went into the store and had to bring this shirt home! Most Lilly Pulitzer pieces I own are very obviously Lilly with regards to colors, prints, and in typical styles such as a shift dress. 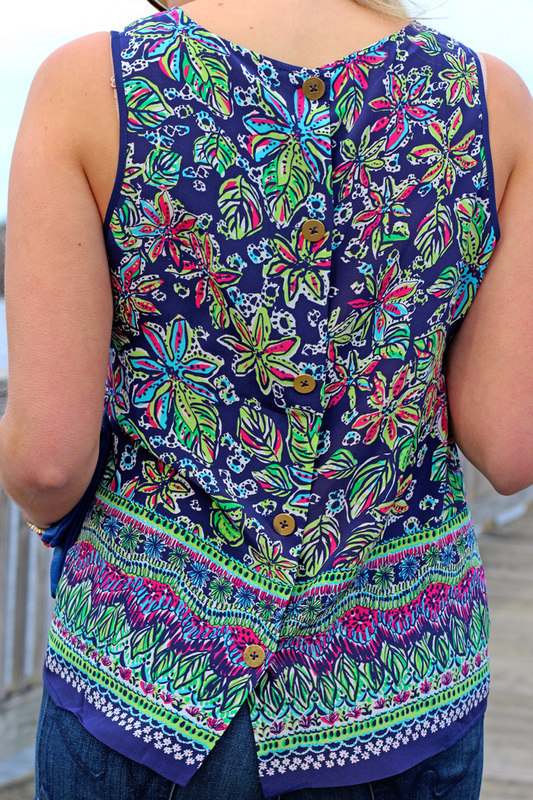 I felt like this top was a little less obvious it was Lilly, which is actually what drew me to it and I love that the buttons down the back give it such an unexpected twist! 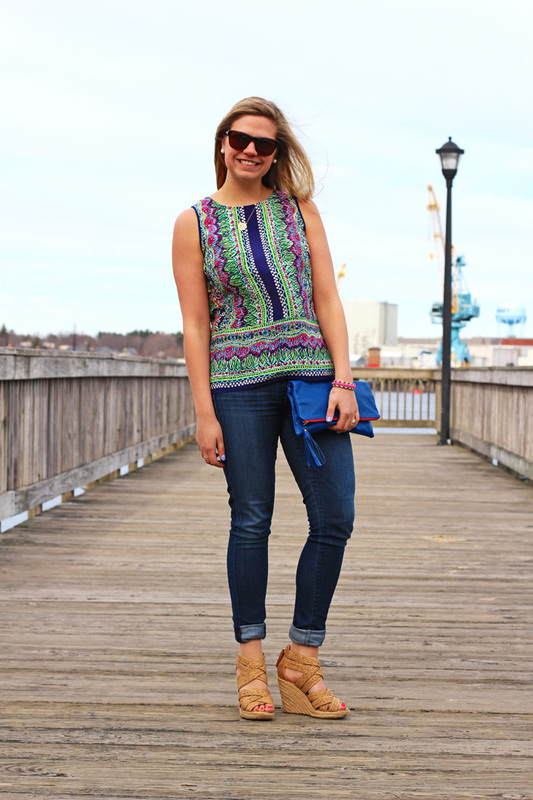 I can't wait for it to warm up even more so I can pair this top with white jeans, pink shorts, and more! Also, the official countdown is on to April 19th when the Lilly Pulitzer x Target collection is released!! This outfit is so cute! That Lilly top is so unique and I might need to stop into a store to try it on for myself! !